Rosie Eade "Folk-Pixie", "One of the loveliest new voices on the folk and acoustic music scene" (Village Pump Folk Club, 2013). 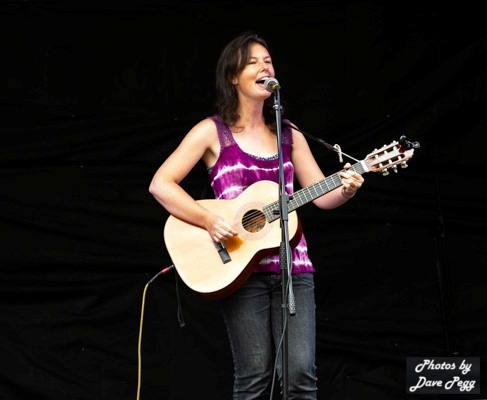 Inspired by Kate Bush and The Who as much as Steeleye Span, Rosie sings life inspired stories written over many years gigging solo around the country, from a party in a field to Glastonbury�s Avalon Caf�, arranged around her love of folk, rock and thrashing her old guitar. This dual passion shines through in her new album "Battlestorm", telling of the many battles and conflicts, emotional and physical, faced in our modern and historical lives; heartfelt tales brought to life by Rosie and her band mates. Click here to play a selection from Rosie's studio album, Battlestorm, 2016, on soundcloud.com. Click here to play Your Face Smiles from Rosie's studio album, Battlestorm, 2016, on bandcamp.com. 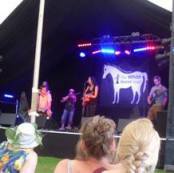 Click here to play a live recording of The Fire by Rosie from the Village Pump Festival, 2014, on soundcloud.com.